'Hanashi' means 'conversation' in Japanese. 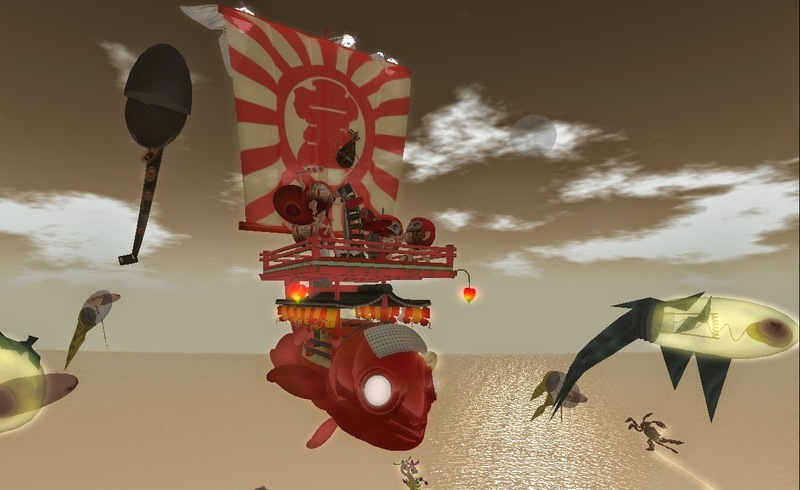 This blog is a conversation about democracy in virtual worlds and belongs to Patroklus Murakami, an avatar in the virtual world 'Second Life'. Posting portrait This work is licensed under a Creative Commons Attribution-NonCommercial-ShareAlike 2.5 License . CDS Estate Managers- where are they? The CDS Exhibit at SL 11B is beginning to take shape! Kendra Bancroft, also known as Maddie Blaustein in real life, passed away at the end of 2008. I wrote the following blog post shortly afterwards but didn't post it. Reading it again a couple of years later, it brings back to me the loss we all felt when we heard the news of her passing. In the meantime, I have also been working on a video tribute. 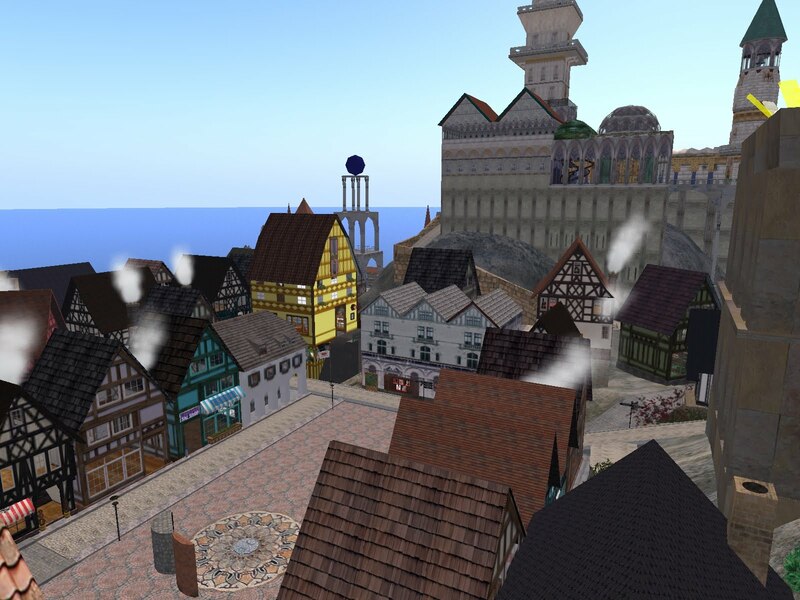 The video focusses on Kendra's beloved Neufreistadt in Second Life and features many of the buildings she designed which illustrate the visual style she developed for the City. Like many who knew Kendra/Maddie, I still miss her. I was shocked to discover via a CDS group IM on 17 December 2008 that Kendra Bancroft had passed away. The news floored me and I felt very odd being upset and tearful about someone who I had never met 'in the flesh', hadn't really spoken to in years but who I liked and cared about. In the weeks since news of Kendra (AKA Maddie Blaustein)'s passing came out we've learned so much more about her and what she meant to others. I first met Kendra in early 2006 shortly after I arrived in Neualtenburg as it then was. Kendra promptly recruited me to the Social Democratic Faction and gave me her take on the City's dispute with Ulrika Zugzwang who, along with Kendra and others, had been the founders of this experiment in democracy and self-governance in virtual worlds which is now one of Second Life's longest running projects. Others have spoken of Kendra's loyalty to her friends; she was, indeed, loyal to a fault. She was also highly principled and stood her ground come what may. When the dispute between Ulrika and the City escalated Kendra resigned her RA seat and left Neualtenburg. I decided to stay in what would later become the CDS and, although there was no dispute between us, Kendra and I rarely spoke after that. 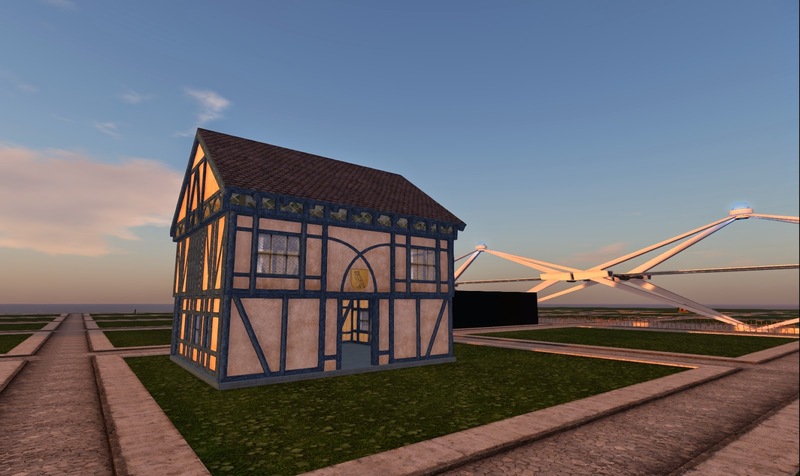 Kendra had built much of Neualtenburg and, to her credit, she helped to repair the damage that Ulrika caused when she deleted a a number of people's homes and city infrastructure. Kendra established her own community in Port Neualtenburg and nurtured and mentored creative people who I'm sure learned a lot from her. After the parting of the ways there was a degree of bitterness in relations for a time. Kendra was defensive about the use of the name 'Altenburg' for the quarter where she had created her wondrous shops and the Neualtenburg Cabaret. But relations slowly improved. Kendra helped with our joint Oktoberfest celebrations and with repairs to the city infrastructure. But now she's gone and she's left an enormous hole in all our lives. The old Altenburg/Altenstadt area of Neufrestadt was undeveloped for years after Kendra's departure. It was very fitting to hold her memorial there and very symbolic of our loss. Kendra/Maddie's passing was felt in a number of other communities too. I think I knew that Kendra was transgendered in RL, it certainly came as no surprise to me. It was no surprise either to learn she was an activist. I knew she had worked in comics and animation but not that she was an accomplished voice actress - the voice of 'Meowth' in Pokemon! Christmas 2008 will, for me, always be about Maddie singing 'Santa Baby' as Meowth! The merger between the CDS and Al Andalus is no more. At a community meeting on 21 July, the Al Andalus Estate Owner recommended that the merger be dissolved and, with some disagreement from a few, it would seem most were happy to go along with the recommendation. You can read the full transcript here. Should we rejoice? Tear our clothes and gnash our teeth? I must confess to a mixture of feelings. They are, variously, disappointment, anger and relief. But the point is to think and not only to feel and I hope that we can learn some lessons from this experience. I'm angry because the CDS was sold a pup. We were told by the architects of the merger not to behave like conquering Conquistadores (i.e. ask any questions) but, in fact, the plan was for AA to conquer the CDS. AA did not join the CDS accepting the representative democracy we have or the institutions we have built up and refined over the years but in order to overturn them. The AA leading clique and several of its representatives on the CDS Representative Assembly, aided and abetted by some CDS citizens with a foot in both camps, attacked everything they did not like about the CDS from day one. Most of the attack was rather incoherent. We were continually told that AA 'did things better' but not how. We were told that the CDS needed to be 'more like AA' but there were no proposals for actual change. In the end, "factions" were demonised as the problem, so the CDS changed its electoral laws to allow any citizen to stand for election to the Representative Assembly without needing a faction label. But, the AA clique were still not satisfied and threatened that, unless we changed, they might invoke the clause in the merger agreement that allowed them to dissolve it at the one year point. I'm really angry because the architects of this aborted merger have wasted eighteen months of everyone's time, in both communities, with this crap. This merger has absorbed time and effort which could have been spent on other things such as bringing in new people, planning more interesting events, sim redevelopment, even expansion. Instead we have had a year-long dysfunctional relationship which has benefitted no one. I am also relieved. The past year has been horrendous but the CDS is still here and fundamentally sound. Our institutions of government and the Constitution survived. Our finances remain solid. The prospect of replacing 'representative democracy' with 'collaborative democracy' or 'participatory democracy' or some other thing that means 'not democracy' has receded… but not entirely. Al Andalus is no longer part of the CDS and the people who resided solely in AA are gone but there were always a fair number of dual citizens and some of the more rabid attackers of the CDS are still around - many of them are current, or former prominent government members. So the fight is not over yet. As for Al Andalus, well… the reasons that prompted the merger in the first place are still present - over-reliance on one person to pay all the bills and do all the work. It's questionable whether AA really pays its way or not. I predict it will continue, for now, but it is unlikely to survive another change in leadership. 1. We should welcome questions not stifle them. When the CDS is facing a big decision - the Judiciary Act; merger with Al Andalus - we need to listen to people who disagree with, or who question, the proposal. If you don't, you miss out on potentially valuable insight and you store up problems for the future. It's never a good idea to make people feel they have not been listened to. 2. We need more direct talk between citizens and fewer people claiming to speak for others. Part of the problem here is that we could never find out what AA people wanted because they never spoke for themselves! Views were always presented to us second hand by a spokesperson. This made it difficult to assess what people really think (as opposed to the spin put on it by others) and it meant views could not be discussed properly; you can't ask 'why do you think that?' through an intermediary. When we tried to find out if the AA people actually *wanted* the merger by holding a referendum, the AA leadership clique tried to stop it, prevented us from finding out what each community thought and then advised AA people to abstain from the referendum "because it's a trap"! 3. Small steps are better than grand gestures. We had lots of options before the merger was settled on. We could have just colocated the sims; we could have just established joint groups and attended each others events; we could have discussed federation rather than union. But all of these small step options were put to one side and dismissed out of hand in favour of the maximalist option. With the benefit of hindsight, we can see this was not such a good idea. 4. Beware 'a man with a plan'. The Judiciary Act, CARE, the merger. These were all big plans with a very forceful avatar behind them. We need to be firmer in subjecting 'big plans' to scrutiny and saying 'no' when we need to. We could have saved ourselves a hell of a lot of sturm und drang in the past few years if we simply learned to say 'no' firmly when 'a man with a plan' breezes into town and tells us why we are doing everything wrong. Better to point them in the direction of Caledon and export our problems! Below are thre transcripts from two Al Andalus town hall meetings held on Wednesday, July 21, to discuss the state of the merger between AA and CDS. [2010/07/21 11:05] Micael Khandr: Thanks for coming to this town hall meeting--I will be starting a transcript of the meeting now. [2010/07/21 11:05] Rose Springvale: Micael, can you tell everyone why? [2010/07/21 11:05] Micael Khandr: As you all know, this meeting is for us as AA residents and citizens to discuss the status of the AA/CDS merger. [2010/07/21 11:06] Kaseido Quandry: Kamilah! [2010/07/21 11:06] Kamilah Hauptmann haz tea, only 25 natives fell to our muskets to secure it. [2010/07/21 11:06] Micael Khandr: Rose, Delia and I are members of the non-profit board of Virtual Democracy, Inc., which is the "owner" of the AA sims. [2010/07/21 11:08] Micael Khandr: but we want to hear from you as well. [2010/07/21 11:08] Micael Khandr: Rose, if you don't mind, could you summarize the issues of the conditions not being met? [2010/07/21 11:11] Rose Springvale: need to get my list to see what else, unless you or delia have it Micael? [2010/07/21 11:13] Micael Khandr: Anyone? [2010/07/21 11:13] Jamie Palisades raises his hand for a question, when it's time, but is not in a rush. [2010/07/21 11:13] Micael Khandr: Sure Jamie--go ahead. [2010/07/21 11:14] Micael Khandr: Go for it! [2010/07/21 11:14] Jamie Palisades: Thanks. Rose, Delia, you are among other thing the heads of two of the three branches of government in CDS right now. What wqould have bene required from CDS, and is it really only Sonja alone who can do it? [2010/07/21 11:16] Jamie Palisades: mm hmm? [2010/07/21 11:19] Jamie Palisades: I gather that Michael, Delia and Rose really own AA, so perhaps you should tell us what if anything you have already decided? [2010/07/21 11:19] Rose Springvale: no, the treasurer has also not worked with us. [2010/07/21 11:19] Rose Springvale: That's not the case jamie. [2010/07/21 11:20] Rose Springvale: are you saying as a citizen of AA that you want to keep working on this Jamie? [2010/07/21 11:22] Jamie Palisades: Hm. So, the treasurer's failure to do her job has been rbbrought to the attention of the SC and RA? Or is it just your feeling that it;s too much hassle to bother? I gather than your presentations are intended to inform peolpe her about your impresison of whather it;s a good ideal to kill the merger, and perhaps share your own views. I f CDS seems to you (even though Delia and Rose run some of it) to be hostile, well, then, that's a judgment you ought to take into account. I am sinmply wondering how much of it in s institutional, and how much personal. [2010/07/21 11:23] Kaseido Quandry: Institutional in what sense, Jamie? [2010/07/21 11:23] Jamie Palisades: The preot from VDI board members seems to be that they find CDS (or the chancellor and treasurer) impossible to deal with. Fair summary? [2010/07/21 11:24] Jamie Palisades: a few old people in power there - who shar epower now with delia and rose - want you to go awya, but they can;t make you, bexcaue you have rights :) so they hope you will leave, and do what they can;t.
[2010/07/21 11:24] Micael Khandr: I agree wioth Delia, regardless of the lack of CDS action in fulfilling the merger agreement, it seems to me that the culture of AA and the culture of CDS are not "merging"Actually, Jamie--I also question whether the culture of AA will survive the opposition to the way we approach decisions and such. [2010/07/21 11:24] Kaseido Quandry: I don't believe the personalities in the CDS want us, but more importantly, I think that AA gets no benefit, and a lot of damage, from the association - and that's been a very hard conclusion for me to reach. [2010/07/21 11:25] Jamie Palisades: Micael, might we have erred in assessing that as possible last year? Sort of "now that we thought about it we do not really want a democracy"? [2010/07/21 11:28] Micael Khandr: Personally, I am much more interested in the so-called "WASP" clause--named after our good friend here--which allows us to stop the merger process if we feel it is not in the best interests of AA--and, btw, it seems that the citizens of CDS feel the same way!! [2010/07/21 11:29] Carolyn Saarinen: this hypothetical 'silent majority' has blown it then! [2010/07/21 11:31] Kaseido Quandry: Yes, Delia, the current system is an article of religous faith, of "my country right or wrong." Gwyn today came out on the forums and said she's opposed to all experimetns, even ones she'd agree were better. I think that seals it. [2010/07/21 11:31] Carolyn Saarinen: So we have a cDS divided into the apathetic and the actively hostile where AA is concerned. What do we gain from that? [2010/07/21 11:32] Micael Khandr: My recommendation for "de-merging" is to give AA an opportunity to dream about alternate models of democratic community. [2010/07/21 11:32] Carolyn Saarinen: CDS is irretrevably stuck in it's rut. [2010/07/21 11:32] Carolyn Saarinen: I see no benefit in sharing it with them. [2010/07/21 11:32] Rose Springvale: micael, does that mean you don't believe in representative democracy? [2010/07/21 11:33] Rose Springvale: lets also try to remember that many of "them" are "us"
[2010/07/21 11:33] Carolyn Saarinen whispers: Huh. Pip did ask why he's now banned from my land! [2010/07/21 11:35] muhammedyussif Wikinger: and hope somone else pays the bills? [2010/07/21 11:35] Micael Khandr: I think there is a way for individuals within a community to know that their voice has power, and that they are collaborators in decision making--but the current CDS structure doesn't seem to make that happen. [2010/07/21 11:35] Carolyn Saarinen: Yeah 'Pat's money'! [2010/07/21 11:36] Rose Springvale: lets not do this... lets keep to the idea ? [2010/07/21 11:36] muhammedyussif Wikinger: I think the idea of democrasy was good - how will it be without the merger? [2010/07/21 11:38] Rose Springvale: so it sounds like muhammed feels differently? [2010/07/21 11:38] Rose Springvale: why? [2010/07/21 11:38] Micael Khandr: In my role as facilitator, I'm going to ask that we make sure everyone has had a chance to say where he or she is regarding the merger before Noon, SLTime. [2010/07/21 11:39] Carolyn Saarinen: 'structure'? [2010/07/21 11:39] Micael Khandr: Given what some of us have said, MY, why do you see the structure as 'good'? [2010/07/21 11:40] Rose Springvale: you mean, RA, Chancellor, and SC? [2010/07/21 11:40] Delia Lake: other things like what that we can do? [2010/07/21 11:41] Micael Khandr: OK, ty MY, can I hear from some of the othersas well? [2010/07/21 11:42] Micael Khandr: Frances, Wasp, Lilith--any thoughts? 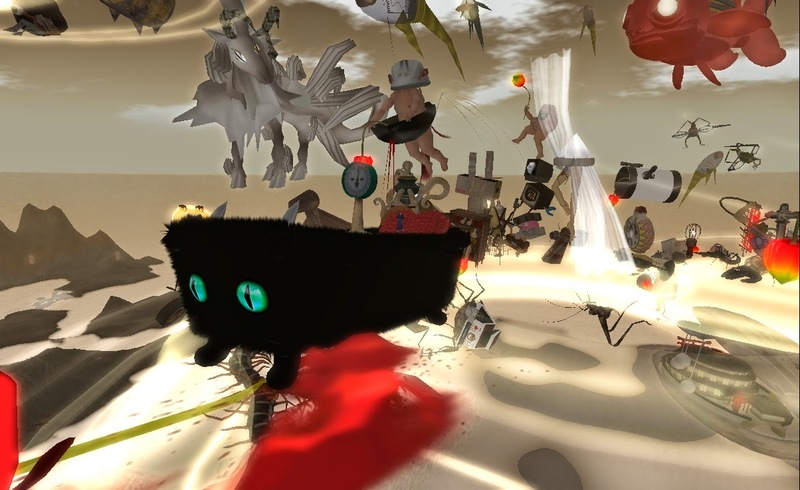 [2010/07/21 11:42] Kamilah Hauptmann: The trouble with the 'same boat' in SL s the lifespan, portability, and replacibility of an avatar and land. Don't ike it, take your boat and leave, and people will. [2010/07/21 11:43] Carolyn Saarinen: Ok, as Wasp says we've given this a year. [2010/07/21 11:43] Carolyn Saarinen: Cds is no better now than a year ago. [2010/07/21 11:44] Carolyn Saarinen: No better than the place I left to come to AA over two years ago. [2010/07/21 11:44] Micael Khandr: Jamie and Kas--jump in! [2010/07/21 11:45] Carolyn Saarinen: It's a beurocratic mess, dominated by a handful of truely malicious people who will do anything to oppose those who they dislike. [2010/07/21 11:45] Carolyn Saarinen: We would have to fight every day just to stand still. [2010/07/21 11:45] Kaseido Quandry: In short, I think the past six months - which is all I can speak to - have drained energy and optimism from AA. The CDS is more resistant to accomodating us, or engaging in dialog and mutual change, with each passing week. Let's be done with it. [2010/07/21 11:46] Rose Springvale: can you think of terms to an agreement that would satisfy those concerns? [2010/07/21 11:46] Carolyn Saarinen: CDS has been attracting and then driving out new residence for years for just that reason. that's why it does not grow. [2010/07/21 11:46] Micael Khandr: Not to put MY on the spot, but my read at the moment is that he is in the minority here wanting to maintain the merger--are there others who are in favor of the merger as is? [2010/07/21 11:46] Rose Springvale: is Jamie right? are we not exercising our rights as citizens in CDS? [2010/07/21 11:48] Carolyn Saarinen: MY it's their reason for being! [2010/07/21 11:48] Carolyn Saarinen: the politacl animals of CDS have been behaving like this for years! [2010/07/21 11:49] muhammedyussif Wikinger: Is it not because of your generosity Rose? [2010/07/21 11:49] Micael Khandr: I think we can be better alone--and I think perhaps CDS can be better alone. [2010/07/21 11:49] Kaseido Quandry: they're very clear on what they want - they should have it. [2010/07/21 11:51] Jamie Palisades: It's sort of interesting to my ear to hear two officers of the CDS governmetn and thre former CDS RA members say "them" about CDS, and "us" a lot. The one-year clause might just have invited you all, and the other CDS people as well, to just wait yoru year and never really fully go for it. [2010/07/21 11:53] Jamie Palisades: if AA leaves CDS, I do not anticipate any real "dividison" of money problems, but i WOULD ask what will be the continuing basis for AA solvency? [2010/07/21 11:55] Micael Khandr: We have about 10 minutes left--has everyone who wanted to speak, spoken? [2010/07/21 11:57] Micael Khandr: What is the potential problem(s) just de-merging now, Rose? [2010/07/21 11:57] Kaseido Quandry: No. This isn't about process, or documentation, or agreements. It's about a fundamental incompatibility between the two communities. [2010/07/21 11:57] Carolyn Saarinen: Rose if Cleo's opinions hold sway, the case for de-merger is made! [2010/07/21 11:57] Rose Springvale: the reality is that the people in both projects basically believe in the same things. [2010/07/21 11:58] Kaseido Quandry: but CDS believes it's their way or the highway. I choose highway. [2010/07/21 11:58] Micael Khandr: Like . . . ? [2010/07/21 11:59] Jamie Palisades: Hm. But? [2010/07/21 12:00] Jamie Palisades: Which is what moved us to try it in the first place, really - get some help for Rose as AA EO. [2010/07/21 12:00] Micael Khandr: We are at Noon--let me summarize what I heard. [2010/07/21 12:01] Micael Khandr: The majority of this group of citizens favors de-merger, some with hesitancy, others with great desire. [2010/07/21 12:03] Micael Khandr: any amendments to my hearing? [2010/07/21 12:04] Micael Khandr: OK--I will end the official transcript now--there is one more town hall this evening at 7 p.m.
19:03] Micael Khandr: Let's begin--Delia is almost here. [19:04] Micael Khandr: As you know, Rose, Delia and I are the board of a non-profit called Virtual Democracy, Inc. and we met last week to discuss the state of the merger. 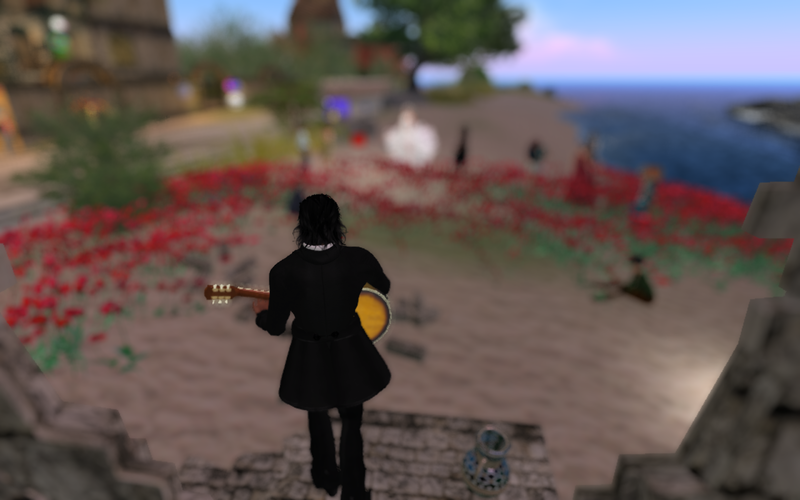 [19:05] Micael Khandr: We wanted to share our thoughts with you, and to have you share your thoughts with all of us as well. [19:06] Soro Dagostino: So the whiners win? [19:06] Ranma Tardis: win what? [19:06] Soro Dagostino: The toxic contest. [19:07] Micael Khandr: Rose and Delia--would you like to add anything to my rather succinct statement before we open it up to discussion by everyone? [19:07] Tor Karlsvalt: The whiners loose but just don't know it. [19:07] Soro Dagostino: that was implied. [19:08] Tor Karlsvalt: rose, will AA move it's sims? [19:08] Micael Khandr: Hard to think sometimes, though . . .
[19:09] Tor Karlsvalt: I wish AA could stay. [19:09] Tor Karlsvalt: but I am worried too. There could be support for dismantaling AA in some way. [19:09] Micael Khandr: How so, Tor? [19:09] Soro Dagostino: I believe it would be good for AA and CDS to be joined. [19:11] Delia Lake: and secondly it is my belief that this merger under current conditions cannot be successful. but that does not mean that things might not change in the future. [19:12] Soro Dagostino: Well! Mr Palisades, I believe? [19:13] Soro Dagostino: Stayed under cover and nary a peep! [19:13] Micael Khandr: So, could we hear from each of you your own thoughts/feelings about the merger and the idea of de-merging? [19:15] Ranma Tardis: the cds has lots of money on the books but does it really? [19:15] Rose Springvale: Calli, i've got the figures. They have ignored the reports readily available on the hippo site. [19:17] Soro Dagostino: It hasn't . . . its been control. [19:17] Soro Dagostino: Exenophobic control. [19:18] Micael Khandr: We had a town hall meeting this morning here, and the majority of those there favored a 'de-merger', some hesitantly and some with great desire. [19:19] Tor Karlsvalt: i really am not a citizen of AA, so I don't count. [19:20] Tor Karlsvalt: Really CDS will gain. [19:20] Micael Khandr: Do you want to repeat some of your thoughts from this morning MY? [19:20] Rose Springvale: calli, finish the thought? [19:20] Rose Springvale: do you feel that is with AA in CDS? [19:22] Soro Dagostino: Hmmm, should have read the postings . .
[19:22] Delia Lake: what structure do you think is important to AA, muhammed? [19:23] Tor Karlsvalt: I think AA could eventually influence CDS demeanor but I can't ask everyoen to continue suffering. [19:23] Tor Karlsvalt: it would take some more sufferig before a change really occured. [19:24] Jamie Palisades smiles. I see thre kindsw of suffering. One is,I feel sure, real -- Rose has not been able to lay off much of the AA EO duty that she hoped to transfer to CDS. [19:24] Soro Dagostino: Not reading the forum. [19:24] Jamie Palisades: The secodn is aggro politics between a few of you and a few of the CDS people. [19:25] Micael Khandr: I said this morning that I thought the year of merger was a chance for CDS and AA to fall in love with each other . . .
[19:26] Jamie Palisades: that being - is the basic structure of CDS government really debatring and thus really antihetical to AA's desired tone? [19:26] Jamie Palisades chuckles. Both orgs got started by driving out their founders, no? [19:27] Jamie Palisades cants his head to the side a little. No comment. [19:27] Delia Lake: i know, Jamie. [19:27] Jamie Palisades: But - still - is the LEVEL of fractiousness in CDS just too much , as a baseline, for the community you want her? [19:28] Jamie Palisades: certainly there is more there than here. [19:28] Tor Karlsvalt: CDS old gurard are scared of any strong willed person. [19:28] Callipygian Christensen: Delia, I believe at least two of those wanting the demege have made it very clear they will never give up defending keeping CDS as it is..and it's one of the few things I believe them to be totally honest about. [19:28] Micael Khandr: We are about halfway through our meeting time--I will push to have everyone share the thoughts about the merger before we end at 8 p.m.
[19:28] Tor Karlsvalt: so much of this is about personal trust or distrust. [19:29] Jamie Palisades: is continued separate survival feaisble? A few years ago that was a real quetsion here. [19:30] Jamie Palisades: so VDI expects it to continue fairly well. WHat about the 6-month pay-all-at-once cash flow issue? [19:30] Jamie Palisades: sort of implies a cash resserve to float aagainst, right? [19:31] Jamie Palisades: soo .. short answer - no foreseen feaisbility probs? [19:32] Soro Dagostino: never thought that AA couldn't survive on its own. [19:32] Ranma Tardis: what do we owe them? [19:32] Soro Dagostino: I see that. [19:33] Micael Khandr: Sunrise in AA! [19:33] Ranma Tardis: about 1k? [19:33] Soro Dagostino: Not on the left coast of the US. [19:34] Soro Dagostino: AA has adopted the methodology to survice. The use of the Non-profit. [19:35] Soro Dagostino: The Xenophobics in CDS will never see why. [19:36] Soro Dagostino: Sorry Pip, but there is a lot of that in Timo and Arrias statements. [19:36] Micael Khandr: And, having been in AA before the merger, I see that our two cultures are very, very different. [19:36] Rose Springvale: one of the issues that has come up lately is that we don't want representative democracy. how do you feel about that? [19:36] Delia Lake: our neighbor sim, Tor? [19:37] Pip Torok: who is "we", Rose? [19:37] Pip Torok: Does the meeting feel Rose is right? [19:38] Micael Khandr: I think it is possible to have representative democracy and not have it be the CDS model, and that is what I am interested in experimenting with, and why I think we should do that as AA. [19:38] Carolyn Saarinen: we had our informal democracy before, we can refine it. [19:38] Micael Khandr: I don't understand your question, Pip? [19:39] Soro Dagostino: The "New England" town meeting. [19:39] Jamie Palisades: There is, by the way, no reason that the VDI board could not mke itself as much subject to democratic power here as the CDS officers are expected to in CDS. [19:40] Soro Dagostino: The RA in CDS is a bunch of squaking chickens in the morning. [19:40] Callipygian Christensen: Pip, that is something that has been said in more than one furm post iirc, by resdients of CDS who are RA mewmbers, so yes, I think it is an accurate statement. [19:42] Rose Springvale: wait, what do you not agree that we think? [19:43] Carolyn Saarinen: I think it's been generally agreed Rose that AA does not consisto f some anti-democratic conspiracy created to wreck CDS! [19:43] Soro Dagostino: I am troubled by the "we" vs "us" aspect of this discussion. [19:44] Soro Dagostino: the effort could be resolved with courtesy and acknowledgement of the other opinions. [19:45] Sebastian Glitterbuck is getting confused. who's on first? [19:45] Soro Dagostino: Scream of conciousness . . .
[19:45] Jamie Palisades: What's the chancellor. [19:46] Soro Dagostino: Need to make some sense of this entire debacle. [19:46] Micael Khandr: OK--ten minutes all--anyone who hasn't ahred how they feel about the merger/de-merger? [19:47] Soro Dagostino: Same in Sacramento. [19:47] Soro Dagostino: AA should stayl. [19:47] Carolyn Saarinen: stay where? 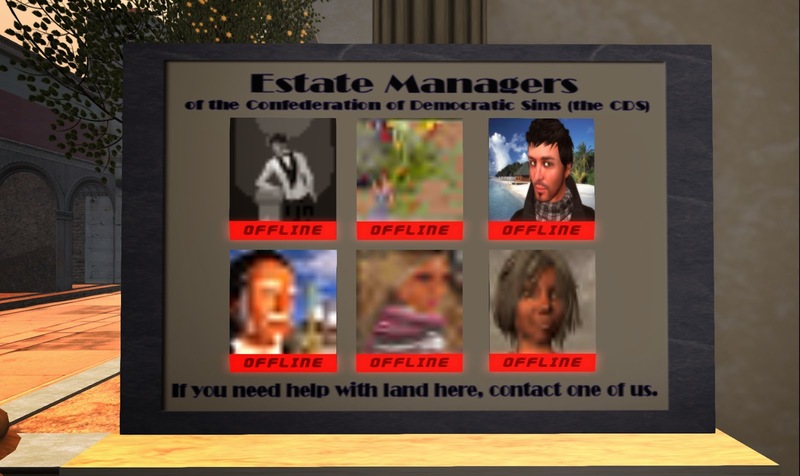 [19:48] Soro Dagostino: With the confederation. [19:48] Rose Springvale: soro, muhammed has shared why he thinks that, why do you? [19:49] Soro Dagostino: Because its the best thing to do. [19:49] Rose Springvale: for AA? [19:49] Soro Dagostino: For both. [19:49] Tor Karlsvalt: True, without AA, CDS will likely recede into a backwater. [19:50] Delia Lake: what do you see as the benefits, Soro? [19:50] Micael Khandr: Ranma--are you in favor of merger or de-merger by your comment? [19:50] Carolyn Saarinen: They'd like it there! [19:50] Soro Dagostino: We could show the world. [19:51] Delia Lake: if it wasn't asked in the beginning, is it ok if we transcript this meeting, people? [19:51] Soro Dagostino: Not as bad as in Iraq. [19:51] Rose Springvale: Tor, one of the foundations of AA is the respect for religion, or no religion. [19:52] Soro Dagostino: I am here, and I am a follower of George. [19:52] Rose Springvale: some people in CDS may, but they don't really speak for the whole. [19:52] Soro Dagostino: I think we can do that. [19:54] Soro Dagostino: Damn it, the majority is not in the complaning parties. [19:54] Tor Karlsvalt: she has plans. [19:54] Jamie Palisades: huh. i agree, i don't see how. [19:54] Micael Khandr: So I am going to go out on a limb here and say what I think I'm hearing :) The majority want to 'de-merge', some strongly and some with some regret. A few individuals want to stay in the merger. [19:54] Micael Khandr: Is that correct? [19:55] Rose Springvale: there are methods in the government of CDS, if used and recognizd, to push through. [19:56] Soro Dagostino: Stand up and be counted. [19:56] Soro Dagostino: Your giving away the show. [19:57] Soro Dagostino: No need. [19:57] Soro Dagostino: The term will soon be over. [19:57] Tor Karlsvalt: I have to say that I look at this group. You are all some of the most active members of CDS. If AA splits many of you will probalby spend all or most of your energy here in AA. [19:57] Micael Khandr: OK--I think I hear an affirmation of what I heard, stated earlier. If it alright with all, I'm suggesting we close the formal part of the meeting and end transcripting.